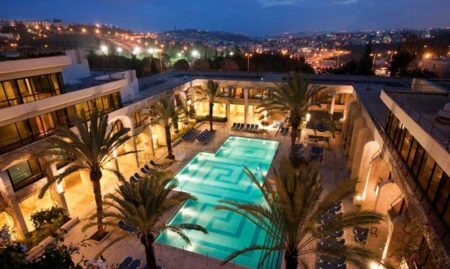 Located in downtown Jerusalem near the famous Bezalel Academy of Arts and Design, Bezalel Hotel is the latest entry to Jerusalem by the well-regarded Atlas Hotel Group. A boutique hotel with only 37 rooms that can accommodate single travelers, couples and families, Bezalel Hotel still maintains high-level service and amenities, including a tour desk, daily happy hour with free refreshments, satellite TV, private bathrooms, free toiletries and transportation services to and from the airport. It is also pet-friendly. It was designed under the supervision of some of Jerusalem’s best architects to ensure that it reflects the unique character, culture and energy of the city. Regardless of what you’d like to do and see in Jerusalem, you’ll be hard-pressed to find a better location. Bezalel Hotel is just 5-minute walk from both the Mahane Yehuda Market and Ben Yehuda Street and 10-15 minutes from the Old City. 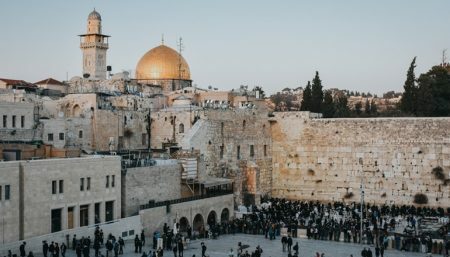 It is also just a short walk to main bus and light rail stops, where you can easily find transportation to the First Station, Yad Vashem, the Israel Museum and more.